This “Way Too Early Mock Draft” represents a continuation, the 11 – 20 picks in the first round of the 2018 NFL Draft. If you are looking for the Top 10 selections, CPGM Juice handled those picks here with a video to boot providing more insight into those selections. Keep in mind these mock draft selections come post NCAAF National Championship and prior to NFL Free Agency. It’s DRAFT SEASON folks, sit back and enjoy. 12. 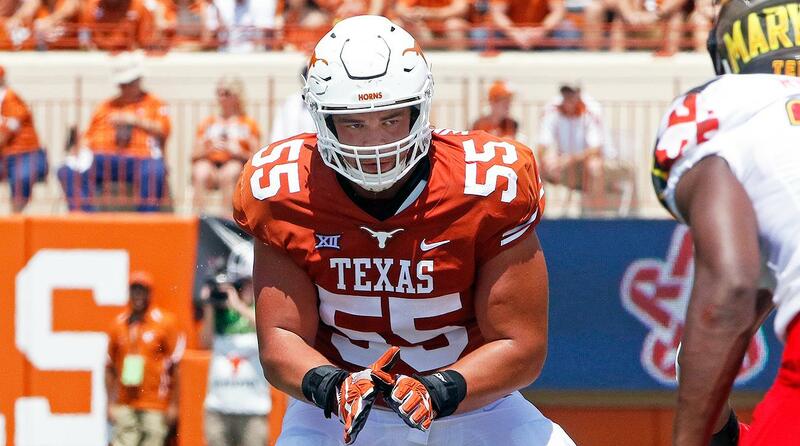 Cincinnati Bengals – OT Connor Williams Texas – During the 2017 off-season the Bengals let left tackle Andrew Whitworth and right guard Kevin Zeitler walk. Offensive coordinator Ken Zampese lasting all of 2 weeks was fired and replaced by Bill Lazor whose offense was up and down as evidenced in the Bengals ranking 26th in points (18.1/gm), 27th in passing yards (195.1/gm), 31st in rushing yards (85.4/gm), and 32nd in total yards (280.5/gm). They added talented weapons in John Ross and Joe Mixon who were expected to help this offense become even more potent but in fact it got worse. One can only assume the offensive line (and quarterback) was the issue and I think drafting a prospect like Williams can help stabilize and anchor the offensive line. 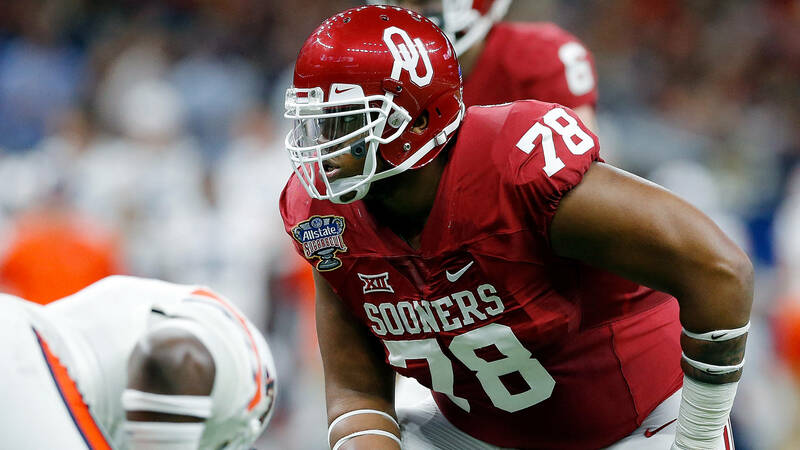 Remember Williams was and may still be scouts’ top offensive tackle in this class. 13. 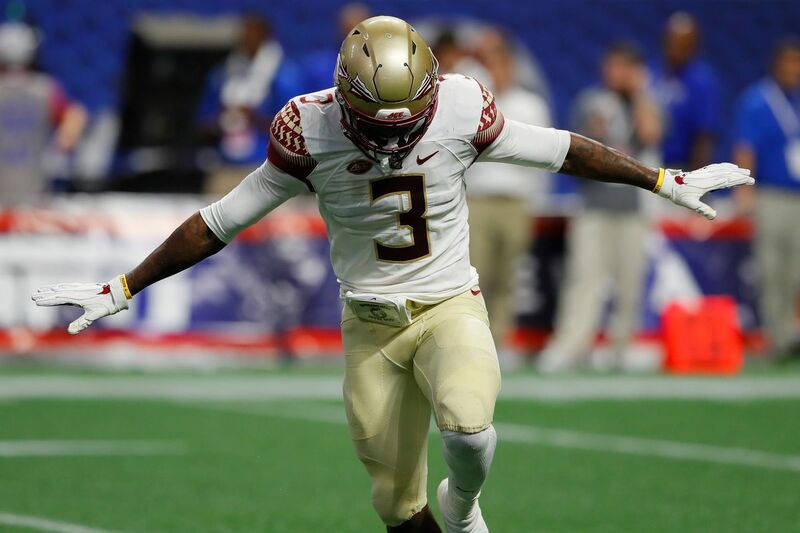 Washington Redskins – S Derwin James FSU – I hear names like, “God rest his soul”, Sean Taylor and Jalen Ramsey when discussing Derwin James’ ceiling… I’m not convinced of that but what I can say is FSU didin’t maximize James’ talents. James is at his best when he is coming down hill, this is includes him playing in the slot or in the box working his way towards the line of scrimmage or back with his eyes on the ball. James can play play in the deep third but not at the level of an Earl Thomas per se. 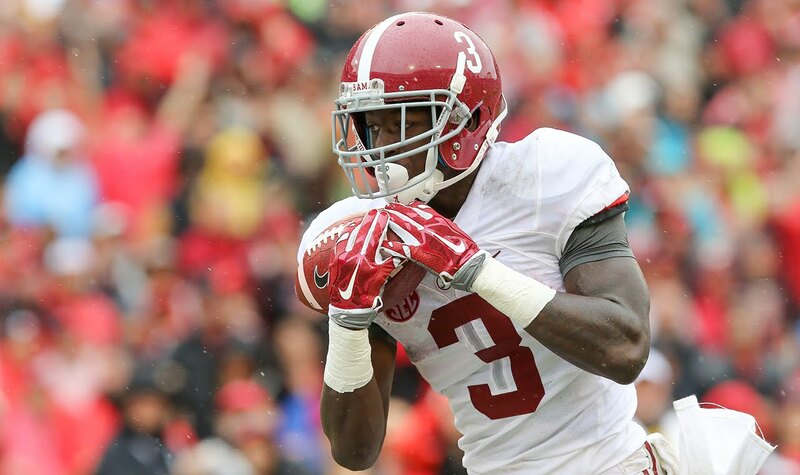 However, versatility is the new safety and James would bring that to a secondary in Washington that features a well past his prime DeAngelo Hall and journeyman D.J. Swearinger at the safety position. 14. Green Bay Packers – OT Orlando Brown Oklahoma – I know the Packers have the ace up their sleeve in Aaron Rodgers but putting it all on him for the past 2 seasons has proven to be a bit much and the Packers as we saw this season don’t have the supporting cast to mitigate his absence for any period of time. Insert Brown at right tackle and you have the edges set for years to come with David Bakhtiari on the other side. Brown is a rode grader and isn’t in unfamiliar territory with a QB who can make things happen as the play begins to break down. He will struggle against the twitchier ends in the league but playing with Rodgers will mitigate some of that as he improves. 15. 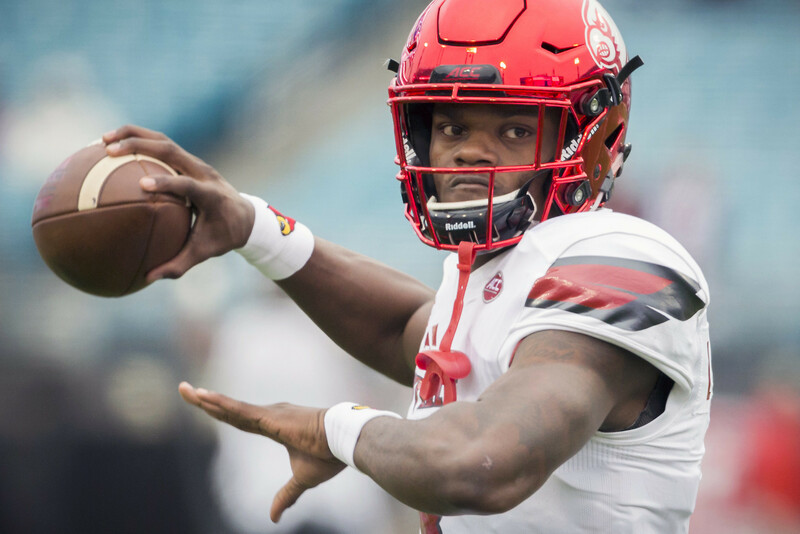 Arizona Cardinals – QB Lamar Jackson Louisville – Kurt Warner to Carson Palmer to the most discussed prospect coming into the college football season. Would he improve? Is he is a receiver, a running back, hell a cornerback? He most certainly is a quarterback and if paired with a coach who can teach and truly understands the nuance associated with the position the sky is the limit as to what he can do for a team. Jackson has come a long way and continues to improve year after year. I believe out of all quarterbacks in the 2018 NFL Draft class Jackson may have the highest ceiling. 16. 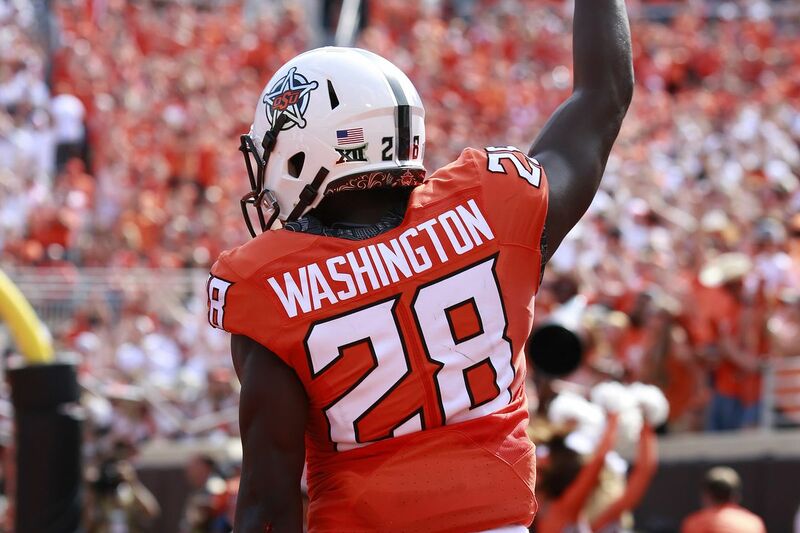 Baltimore Ravens – WR James Washington Oklahoma St. – I know Joe Flacco can’t carry a team but he’s what the Ravens have to work with for the next couple of years due to that massive contract he signed some years ago. Why not get him a dependable weapon that he can throw the ball to? One trick pony Mike Wallace, fancy but limited Jeremy Maclin and the perpetually injuired Breshad Perriman are not getting the job done. James “The 1st President” Washington is a deep ball threat with the ability get open and has some open field prowess. As we say here at couchpotatogm.com “2+2=4”. This just makes too much sense! 17. 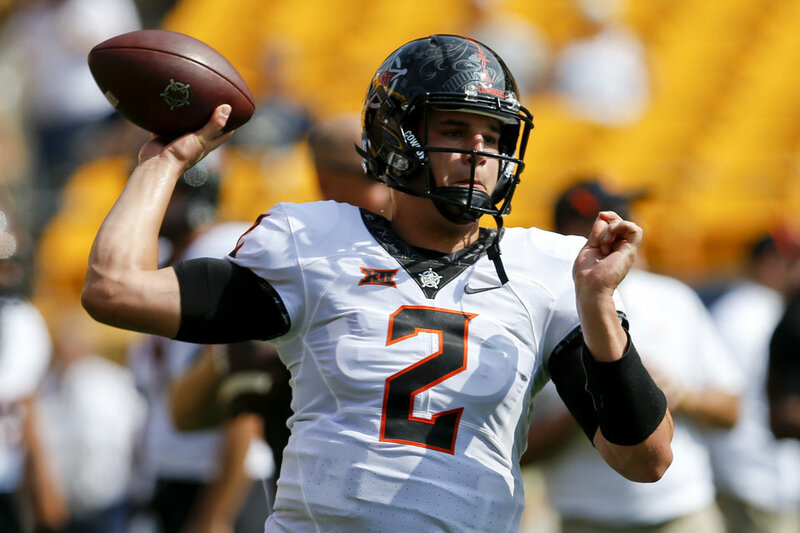 Los Angeles Chargers – QB Mason Rudolph Oklahoma St. – I ask you Charger fan, how long will Philip Rivers play? Offensive line or perhaps second level of the defense could be in play here but still not sure value meets need at this point in the draft outside of perhaps Tremaine Edmunds, a name to keep an eye on throughout the draft process. The Chargers are one of the most talented teams in the league all the way around and it may be time to find the heir apparent to Rivers. This would allow Rudolph to sit and learn behind one of the best in the league. With the most notable quarterbacks drafted before him in this mock, he would benefit from sitting and holding a clipboard. 18. 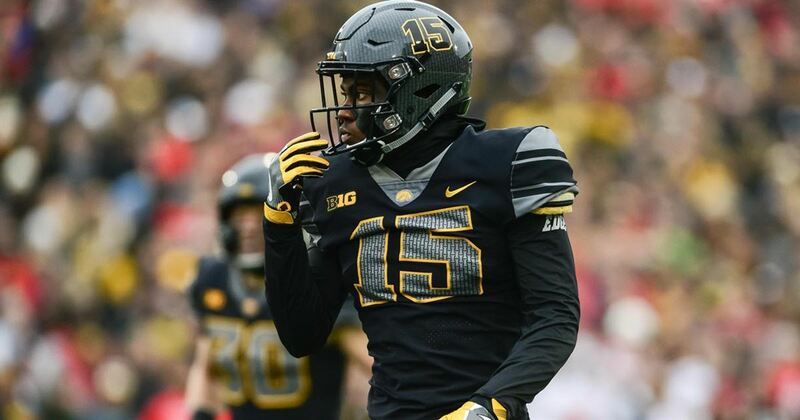 Seattle Seahawks – CB Joshua Jackson Iowa – Yes, these boys need offensive line help but at this point the allure of Josh Jackson may be too much to ignore. Word on the street is that Richard Sherman may be on the outs due to how much he is owed against Seattle’s 2018 salary cap. The Seahawks brought Cover 3 to “the uninitiated” (Bane voice) and Jackson being a ball-hawking corner who played an overwhelming amount of that coverage at Iowa, keeping his eyes on the ball at all times makes him a perfect match here. Jackson can also play man-to-man as I am aware the Seahawks did that more this year than in year’s past but a change a defensive coordinator may suggest a return to more zone coverage looks. 19. 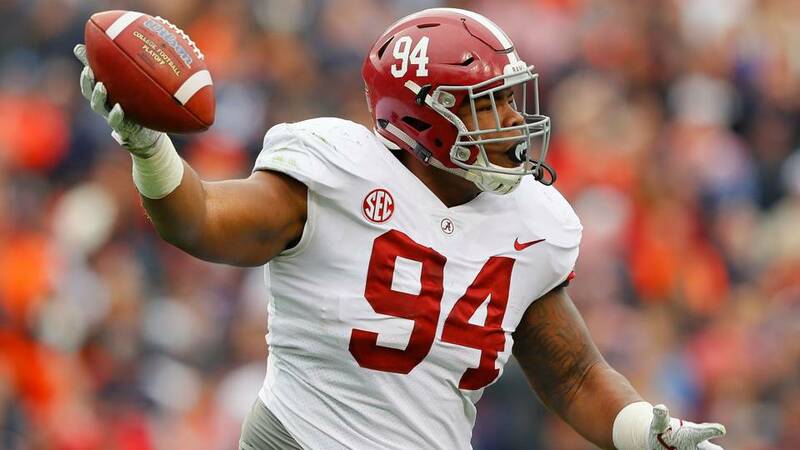 Dallas Cowboys – DT Da’Ron Payne Alabama – If only Calvin Ridely was still on the board, but whether he is available or not you must go with Payne. He is a “DAMN BULLY” and if Dallas can bring back Demarcus Lawrence (14.5 sacks) on the edge and pair Payne with David Irving (7 sacks) on in the inside of the defensive line Dallas will begin to take major steps in the right direction to solidify their run defense and take some pressure off of a young secondary. Da’Ron Payne was a man among boys at Alabama moving offensive linemen at will and for a man his size he has a get off that shouldn’t be. A rare athlete for his size, violent at the point of attack consuming space and opportunity! 20. 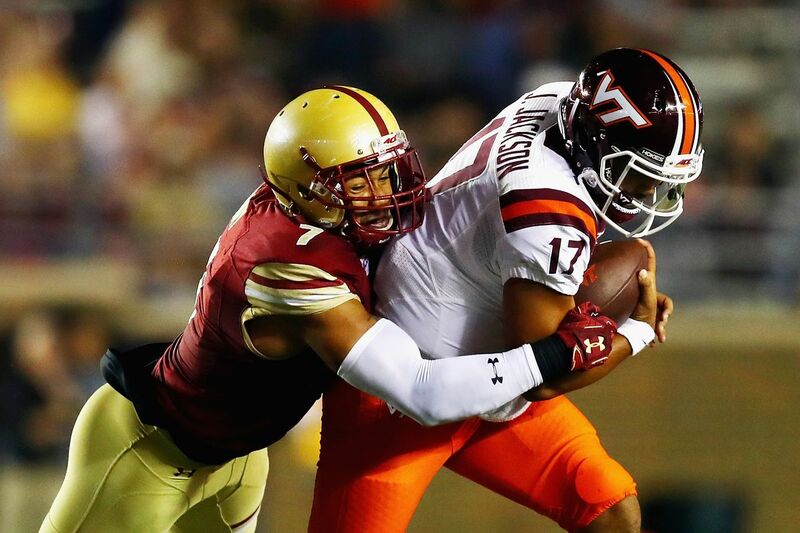 Detroit Lions – DE Harold Landry Boston College – It looks as though Ezekiel “Ziggy” Ansah will walk via Free Agency and the Lions need a replacement. Harold is a high motor prospect who uses his hands to keep would be blockers at bay all the while pushing them back into the backfield and simultaneously setting the edge. The Lions need to improve their running game desperately and there are some really impressive prospects on the board at the running back position but defensive end is a must have especially when your best may be walking out the door. Besides running back is the deepest position in the draft. Patience grasshopper.